Kawasaki has launched its range of 2007 bikes at the Intermot show in Cologne, Germany, including the new ZX-6R and the massive GTR1400. The event saw the first public showing of the new VN900 Custom, Z1000, KLX450R and the ZX-6R but the star of the show was the impressive GTR1400. 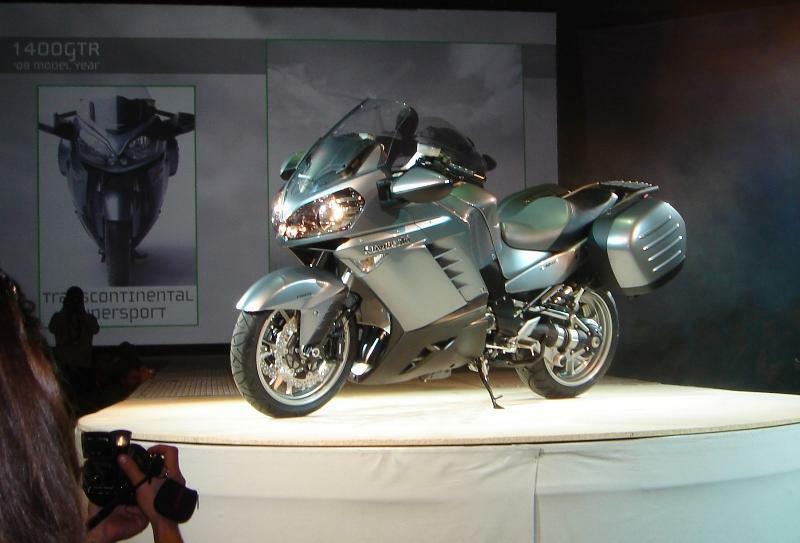 The ZZ-R1400 based tourer dominated the stage and attracted the bulk of the attention from the press corp. Check out the photos of the event on the right and you’ll be able to see video of all the bikes later tonight.